The two legends of the recording industry unify their star power to promote anti-violence programs that will protect youth. 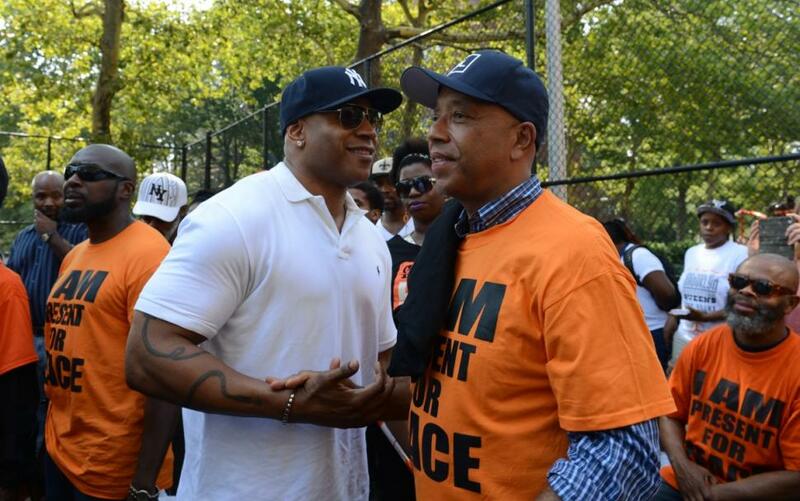 LL Cool J and Russell Simmons visited a Queens (where they both hail from) housing project hit hardest by the violence. The GOAT rapper and hip hop mogul chatted with kids about their defense against violence: LIFE Camp, a group of local based-peacekeepers that act as “violence interrupters” when tensions begin to escalate. Their job is to lead raging teens in a more positive and peaceful direction. After leaving their old stomping grounds they visited Rikers Island to offer encouraging words to incarcerated young people that could also benefit from the LIFE Camp. LL and Russell revealed their upbringings could have easily led them right where they are now. But, told them not to give up on the fresh start that awaits them later. Simmons preached to them about focusing on their inner thoughts. The LIFE Camp is funded through Russell Simmons’ prepaid debit RUSH Cards. The millionaire philanthropist already donated $100,000 to the community initiative. It’s nice to see influential celebs being hands on with this overlooked issue. Kudos, guys.